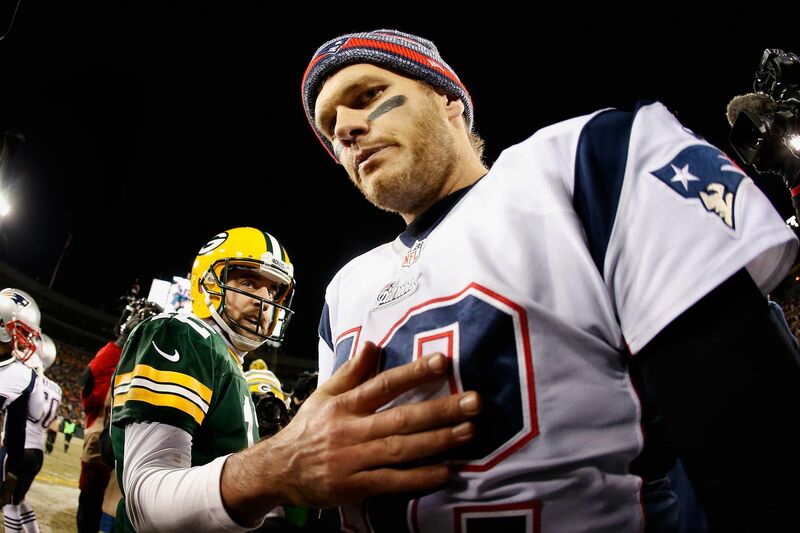 Patriots vs. Packers highlights Week 9 in the NFL but that’s not the only game we’re looking forward to this week. Week 9 in the NFL kicked off with a battle of the Bay Area, a game between the 49ers and the Raiders that ended in a 34-3 blowout in favor of the Niners. If you didn’t see the game, well, you didn’t miss much, except the Nick Mullens miracle and a new low for Jon Gruden and the Raiders. Fortunately, things were much more entertaining in Sunday’s games. Among those exciting things was Patrick Mahomes’ continued record-breaking season. With 300 passing yards against the Browns, the Chiefs quarterback would join Colts quarterback Andrew Luck (2014) as the only quarterbacks with at least 300 passing yards in eight consecutive games within a single season in league history. Mahomes reached the mark in the third quarter against the Browns. Vikings wide receiver Adam Thielen was going for his ninth-straight game with 100+ receiving yards on Sunday against the Lions, which would have made him the only player in NFL history to record nine consecutive games with at least 100 receiving yards. But, Thielen’s streak came to an end. He remains tied with Calvin Johnson for the most consecutive 100+ yard games in a single season in NFL history. Even with Stefon Diggs out, Thielen had only four catches for 22 yards and a touchdown in the Vikings’ 24-9 win over the Lions. Also in that game, Dalvin Cook returned to action for the Vikings and reintroduced himself with a 70-yard touchdown in the second quarter. On Sunday afternoon, Dolphins running back Frank Gore passed Hall of Famer Barry Sanders on the NFL’s career yards from scrimmage list. Ahead of Gore on the list are Hall of Famers Jerry Rice, Emmitt Smith, Walter Payton, Marshall Faulk, and LaDainian Tomlinson. The Bears beat up on Nathan Peterman and the Bills. Even without Khalil Mack, the Bears defense had three interceptions and a forced fumble. Bears quarterback Mitchell Trubisky threw for only 135 yards, one touchdown, and one interception in the win. Peterman had more yards but thew zero touchdowns and was intercepted three times, one of which was a pick six. Julio Jones ended his streak of games without a touchdown as he finally made it into the end zone in the Falcons’ win over Washington. It’s Atlanta’s third win in a row. In a Saints vs. Rams game featuring two teams that were averaging 33+ points per game coming into Sunday, Rams running back Todd Gurley scored a touchdown in the first quarter that marked his 12th-straight game with a touchdown. The score saw him hit a Rams milestone as he passed Elroy Hirsch for the most consecutive games with a touchdown in Rams history. Alvin Kamara scored two rushing touchdowns and a receiving touchdown, while Michael Thomas had a career-high 211 receiving yards and a touchdown. When Thomas scored he perfectly honored Joe Horn with a flip phone touchdown celebration. The Saints defeated the Rams, 45-35 and brought an end to LA’s undefeated streak. There are now no unbeaten teams in the NFL. Sunday Night Football ended the day with two future Hall of Famers. Tom Brady and the Patriots took on Aaron Rodgers and the Packers in a game that wasn’t quite as fun as Rams vs. Saints, but had its moments. The first half included a whole lot of Patriots wide receiver Cordarrelle Patterson who had 51 rushing yards (yes, you read that right) and a touchdown along with 64 yards on two kickoff returns. The Patriots won 31-17 as they solidified their dominance as an AFC contender. To end the week, the Titans traveled to Dallas to take on the Cowboys on Monday Night Football. Amari Cooper wasted no time and scored his first touchdown with the Cowboys in the first quarter. Plus, the great celebrations seen in Week 9 continued as Titans safety Kevin Byard channeled Terrell Owens and danced on the Dallas star after intercepting Dak Prescott. The score is 14-14 at halftime.